CSA Medical is a privately held medical device company that develops and manufactures truFreeze™, a groundbreaking technology that enables the delivery of therapeutic doses of cryogen to flash-freeze and destroy tissue inside the body. It is currently being used to treat esophageal diseases such as Barrett’s esophageal cancer. 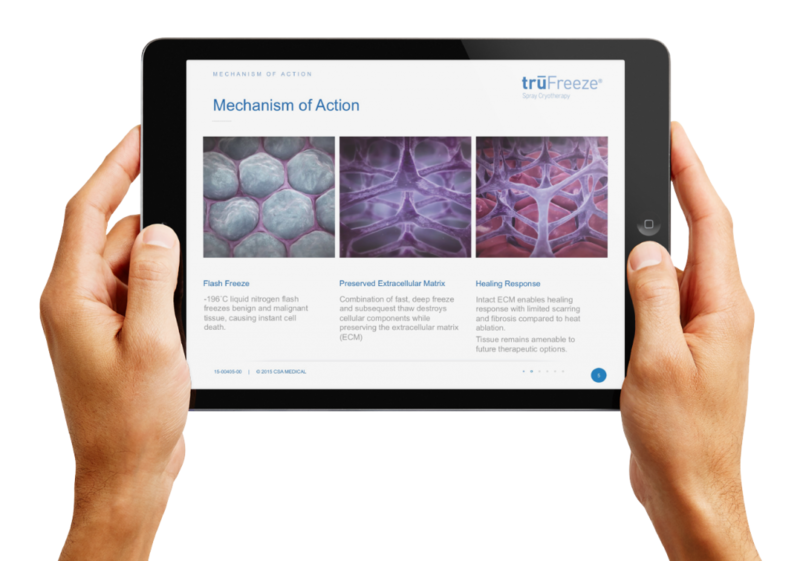 Our challenge was to reinvigorate the CSA Medical brand as the company moved forward with a new vision, leadership, and market opportunities and create a brand strategy for truFreeze appealing to HCPs and patients. We created a brand strategy and marketing communications program that provided increased coherence in the way CSA Medical presents itself and reflects the core values, marketing objectives, and brand attributes that make truFreeze a pioneering new tool for selectively freezing and ablating unwanted tissue. We created a simple and memorable logo that captures the expression of spray cryotherapy, a visual system that ensures a dynamic and flexible brand identity, and brand guidelines that ensure the integrity of a cohesive and consistent creative execution. As the flagship product of CSA Medical, we created the truFreeze logo to strategically align with the CSA Medical brand identity. 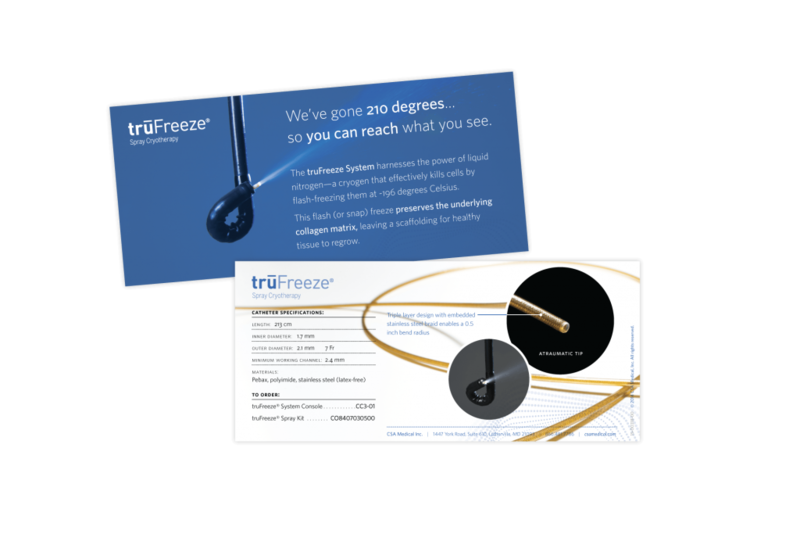 Simple, bold, and direct, the truFreeze logo identifies the treatment as spray cryotherapy. 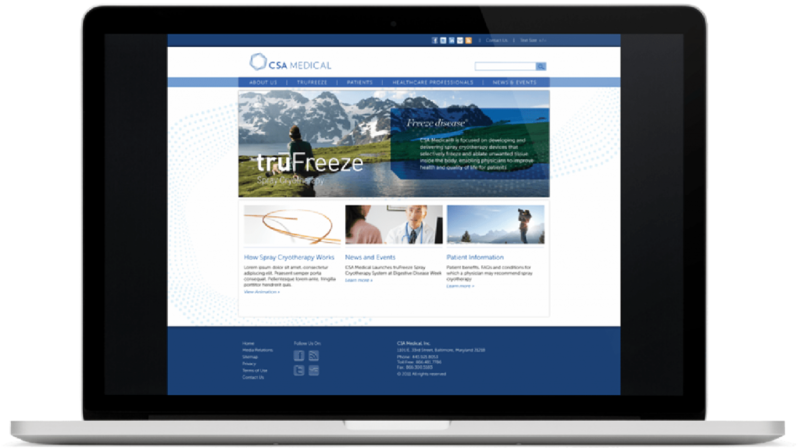 The CSA Medical website was designed to educate and inform clinicians and patients on CSA Medical’s Spray cryotherapy treatment therapies and benefits. Targeting HCPs and hospital administrators, we armed the CSA Medical sales team with a system of communications, sales collateral, and digital assets. 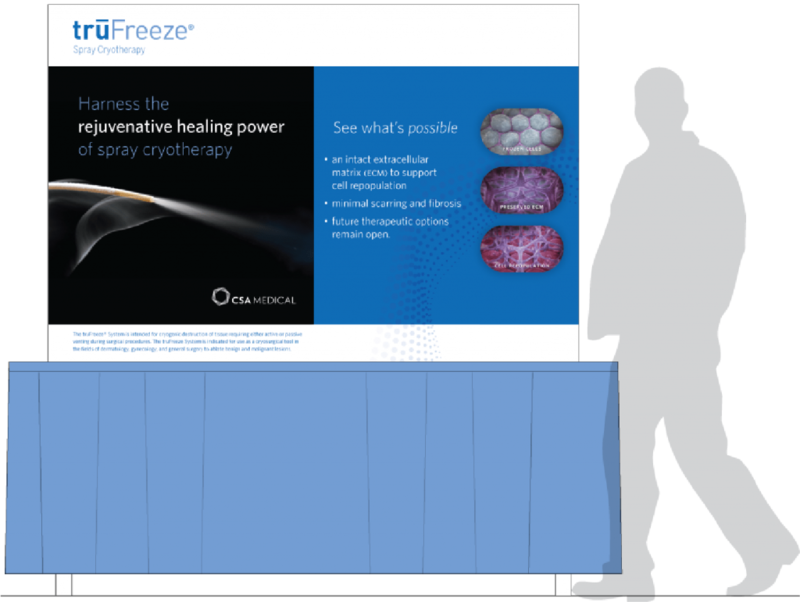 Trade show graphics were designed to capture the attention of our HCP audience and engage them with interactive opportunities to learn more about truFreeze. Opportunities were created for attendees to engage with CSA Medical before, during, and after events, resulting in multiple touch points to build relationships. 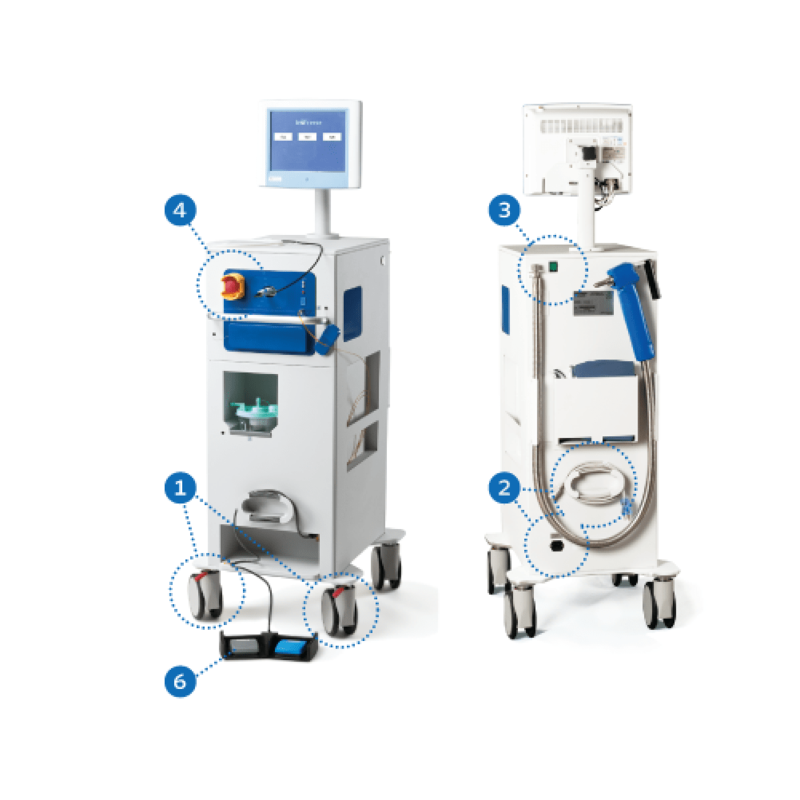 Designed to accompany each truFreeze device and color-coded to help hospitals quickly identify topic categories, these guides offer hospital technicians product instructions and troubleshooting tips. Need help branding and marketing your innovative therapy? © 2019 Foster & Create, Inc. All rights reserved.